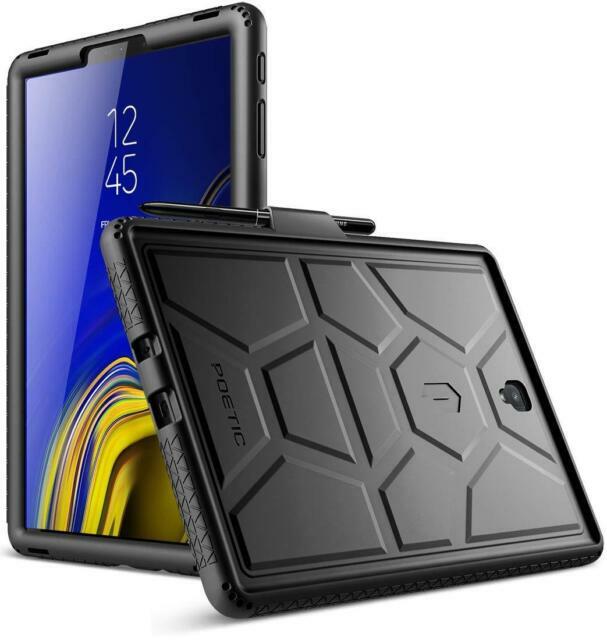 Galaxy Tab S4 10.5 Case, Poetic TurtleSkin Series [Corner/Bumper Protection][Grip][Bottom Air Vents]. Made of premium childproof silicone. Utilitarian styling with seamless Poetic Design DNA. 1x Poetic Turtle Skin Case.